After working with big brands in the past, Neena and Pree Patel were searching for a new company to head their double-home makeover—preferably one that had not only a personal touch, but an unbeatable eye for detail as well. 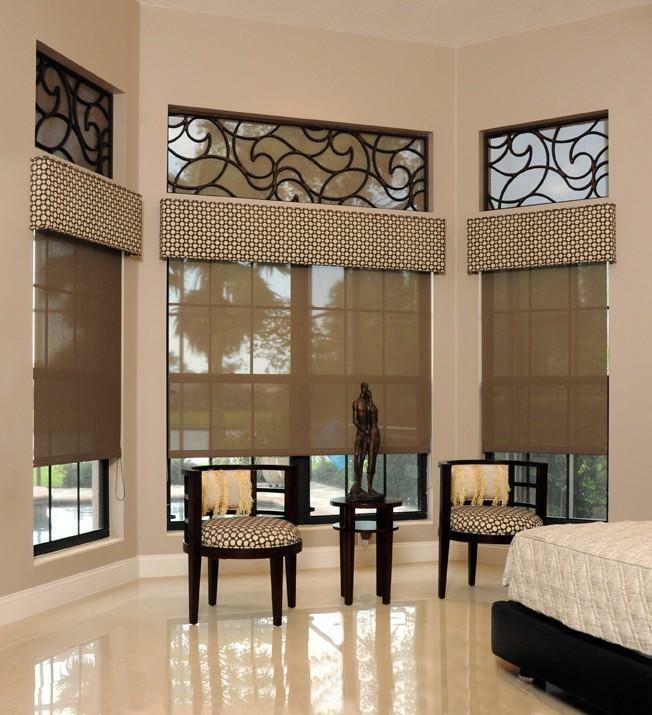 What’s more, when it came to their window treatments, the Patel sisters wanted something different. They got in touch with Artistic Windows after asking around for a company that could fit the bill. Reflecting on her first meeting with Artistic Windows’ owner Scott Sowder, Neena recalls, “The way he showed me all of his books and his interest in the possibilities of what he could do made me not even go to anybody else.” Pree adds that, “We’ve never had such a nice experience. As soon as he showed us the fabrics and samples, we knew right away that this was our guy. With that level of interest, which he showed right away, we didn’t have the need to look for anyone else.” And so began the projects, during which Artistic Windows showed the Patel sisters how they work closely with clients to deliver beautiful, custom window treatments in a seamless process. Six months later, both of the Patel sisters’ homes have had Artistic Windows’ finishing touches, from the bathrooms and bedrooms to the living rooms and beyond. “He was very meticulous, clean, punctual and courteous,” Neena muses, appreciating how Scott’s eye for design brought success to both homes’ makeovers, each of them coming together as complete and cohesive works of art. For Florida Home readers undertaking window treatment projects, the Patel sisters have a few words of advice: “Just leave the whole project to Scott.” If you’d like to take them up on their recommendation, you can find out more about Artistic Windows by visiting them on the Web at www.artisticwindowsinc.com. You can also call (813) 835-8805 to arrange an in-home consultation today.